Scunthorpe United have signed Chelsea defender Alex Davey on loan until 3 January. 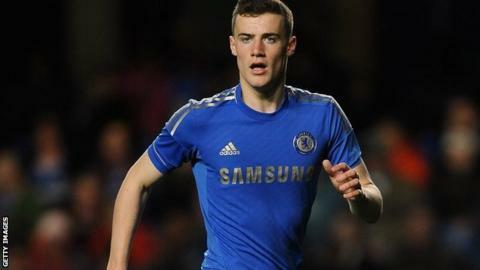 The 20-year-old, who is yet to make his competitive debut for the Blues, is a Scotland Under-19 international. Davey is the second defender to join the Iron on loan this week after Rotherham full-back Richard Brindley arrived at Glanford Park on Tuesday. Both could make their debut for Scunthorpe, currently 23rd in League One, in Saturday's trip to Barnsley.